What is the so-called "gig" economy, a phrase increasingly in use, and seemingly so in connection with employment disputes? According to one definition, it is "a labour market characterised by the prevalence of short-term contracts or freelance work, as opposed to permanent jobs". And - taking opposing partisan viewpoints - it is either a working environment that offers flexibility with regard to employment hours, or... it is a form of exploitation with very little workplace protection. The latest attempt to bring a degree of legal clarity to the employment status of people in the gig economy has been playing out in the Court of Appeal. A London firm, Pimlico Plumbers, on Friday lost its appeal against a previous ruling that said one of its long-serving plumbers was a worker - entitled to basic rights, including holiday pay - rather than an independent contractor. Like other cases of a similar nature, such as those involving Uber and Deliveroo, the outcome will now be closely scrutinised for what it means regarding the workplace rights of the millions of people employed in the gig economy in the UK. In the gig economy, instead of a regular wage, workers get paid for the "gigs" they do, such as a food delivery or a car journey. In the UK it's estimated that five million people are employed in this type of capacity. Jobs include couriers, ride-hailing drivers and video producers. Proponents of the gig economy claim that people can benefit from flexible hours, with control over how much time they can work as they juggle other priorities in their lives. In addition, the flexible nature often offers benefits to employers, as they only pay when the work is available, and don't incur staff costs when the demand is not there. Meanwhile, workers in the gig economy are classed as independent contractors. That means they have no protection against unfair dismissal, no right to redundancy payments, and no right to receive the national minimum wage, paid holiday or sickness pay. It is these aspects that are proving contentious. In the past few months two tribunal hearings have gone against employers looking to classify staff as independent contractors. Last October Uber drivers in the UK won the right to be classed as workers rather than independent contractors. The ruling by a London employment tribunal meant drivers for the ride-hailing app would be entitled to holiday pay, paid rest breaks and the national minimum wage. The GMB union described the decision as a "monumental victory" for some 40,000 drivers in England and Wales. In December, Uber launched an appeal against the ruling that it had acted unlawfully. And in January this year, a tribunal found that Maggie Dewhurst, a courier with logistics firm City Sprint, should be classed as a worker rather than independent contractor, entitling her to basic rights. 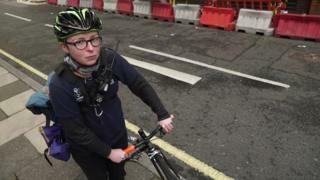 And, also towards the end of last year, a group of food takeaway couriers working for Deliveroo said they were taking legal steps in the UK to gain union recognition and workers' rights. One difference worth noting is that workers in the gig economy differ slightly from those on zero-hours contracts. Those are the - also controversial - arrangements used by companies such as Sports Direct, JD Wetherspoons and Cineworld. Like workers in the gig economy, zero-hours contractors - or casual contractors - don't get guaranteed hours or much job security from their employer. But people on zero-hours contracts are seen as employees in some sense, as they are entitled to holiday pay. But, like those in the gig economy, they are not entitled to sick pay. Meanwhile, the Department for Business is holding an inquiry into a range of working practices - including the gig economy. The department says it wants to ensure its employment rules are up to date to reflect "new ways of working". The status of gig economy workers is of importance to the government, as last November's Autumn Statement showed for the first time how it is cutting into the government's tax take. The Office for Budget Responsibility (OBR) estimated that in 2020-21 it will cost the Treasury £3.5bn. Chancellor of the Exchequer Philip Hammond said then he would look to find more effective ways to tax workers in the UK's current shifting labour environment. For more on the gig economy listen to In The Balance: Precarious Future on BBC World Service at 09:30 GMT on Saturday, 11 February.